So I rarely talk about other critical opinions in my reviews, mostly because I don't tend to read many other reviews before my own and I don't want bias creeping in. I'm going to make an exception to this here, specifically in reference to Cloud Nine, the debut album from the Norwegian DJ Kygo that I reviewed last year. You might not know this, but it was one of the more critically derided records of 2016, certainly accruing lower scores than many would expect for a lightweight tropical house debut. And believe it or not, I'm not surprised by this: mainstream critical outlets need some punching bags, so instead of taking it out on inept bro-country or endlessly regurgitated trap or - god forbid - an act that other critics actually liked - why not go after a tropical house DJ little known stateside who can serve as an easy trendy target that won't fight back? And let me make this clear: some of the criticisms of Cloud Nine are valid - it's overlong, the quality of guest stars is all over the place, it can feel incredibly thin at points, and overall the individual songs don't stand out as much as they should. But on the flip side it was a record that grew on me a fair bit throughout the summer of 2016, and most of that goodwill came down to Kygo himself: a sharp producer with good tastes in tone and groove that knew how to build a breezy likable vibe, which by the low standards many judge this genre was all he was looking to do! Hell, the fact that it managed to get a passable performance from Julia Michaels on 'Carry Me' should be worth noting at least - but then came 2017 and the Selena Gomez crossover that showed Kygo sharpening this talents. Not to spoil too much, but 'It Ain't Me' is one of the best hit songs of 2017 easily, and if Kygo could bring that talent for hooks to his new record, with guest vocals from John Newman, OneRepublic, Ellie Goulding, and plenty more, I was actually excited, especially as it seemed like he tightened things up, even despite including all the songs from his Stargazing EP from earlier this year. So what did I get with Kids In Love? I'm of a few minds with this project. On the one hand, I completely get why critics would dismiss Kids In Love like Cloud Nine: it's polished within an inch of its life, it's incredibly earnest, and a lot of the instrumental tones fit within an increasingly narrow comfort zone that some would consider lacking in dimension. And when you consider this is supposed to be playing for tropical house, this record's attempts at weightiness can't help but feel a little slight. 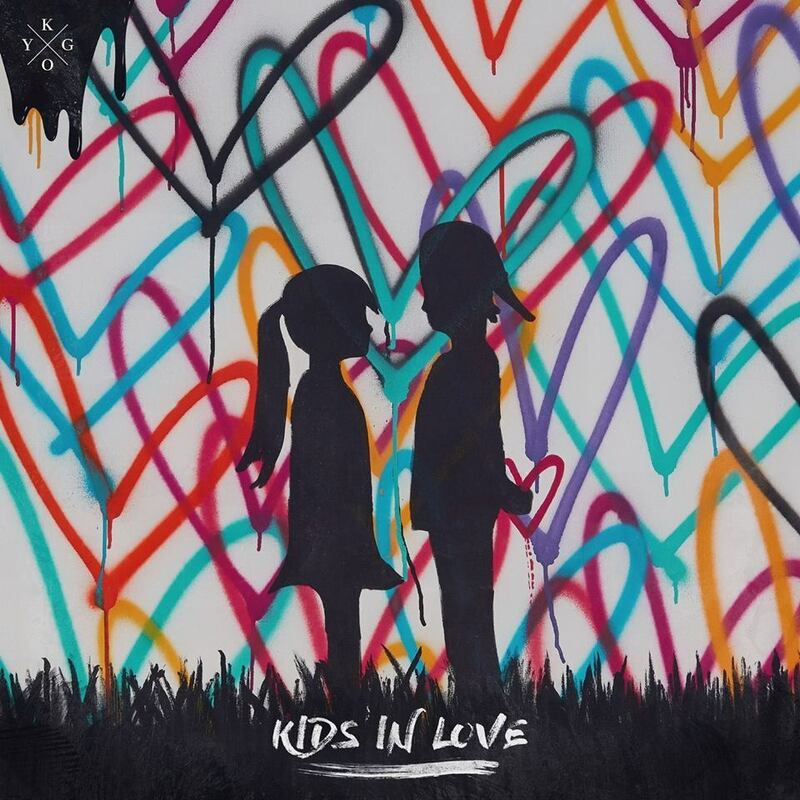 On the other hand, if you expected all of this going in because that's who and what Kygo is, you'll find a lot to like on Kids In Love, a streamlined record playing in big wistful emotions without a drop of irony that might not be great, but still is incredibly easy for me to revisit again and again. And the reason why is incredibly simple: in terms of full balance of his melodic grooves, Kygo might be one of the best EDM producers working in the mainstream right now. Yes, he's relies on a piano a bit too much, but he's hitting those power chords against the bass grooves accented by acoustic guitar, brittle snaps, and sleigh bells because his grasp of the fundamentals of a killer melody are absolutely outstanding in capturing a mood, with his production picking up every pristine edge for display. He's fully aware that his singers are going to provide the rougher human element within the mix, so he's working to ensure the melodies are polished to a mirror shine and are precisely balanced against a groove that feels both easy going but remarkably propulsive all the same. He'll chop and smooth the vocals for drops, but just listen to how well-timed the click of the percussion and sleigh bells balance against the melody on 'Riding Shotgun', or the sharper guitar line behind John Newman on 'Never Let You Go' that with that multi-tracking might be one of the most anthemic tracks here... well, until you get to the title track with Martin Johnson of Boys Like Girls, now fronting his pop group The Night Game and interpolating 'Baba O'Reily' by The Who with those massive driving keys. And then there's 'It Ain't Me' that's close to the best thing Selena Gomez has ever done, with verses that understand her limited range and a hook that utterly goes for broke. And while I would say this is a record most comfortable with big emotions, you do get more quiet, wistful touches, like the rougher huskiness from Billy Raffoul on 'I See You' against that muted bass texture, or even Ellie Goulding playing off the minor tones on 'First Time', even if I'm still not wild about that tonal choice for the drop. Of course, you'll very quickly realize that a lot of this record is playing in a very similar wheelhouse - not that it all sounds the same, Kygo switches up the grooves and melodic progressions too much for that, but when the lyrics nearly all fall in 'heartfelt yearning for love, either there or lost', you realize so much of the strength of this record depends on who's singing or the minor shifts to make tracks feel distinctive. And while it's much less of a mixed bag this time around, why Ryan Tedder thought it was a good idea to write a Stranger Things inspired song for, well, 'Stranger Things', and then references Spanish skies on a song that sounds less 80s and more modern Coldplay... well, that's an anthem that never really takes off or works. Then you have Wrabel working his Sam Smith impression on 'With You' and it plays for a brand of melodrama that teeters right up to the line of tolerable. Then you have 'Sunrise', which might be less inappropriately clingy than 'Never Let You Go' but following that song could have used a singer with the firepower of John Newman, and it's a similar case for J Hart on 'Permanent' - when Billy Raffoul hits the same emotional notes in the next song with more texture and personality, it's a little frustrating. Then you have the other two songs tacked on from Stargazing... and look, Justin Jesso does fine on 'Stargazing', the gooey synth melody is what lets him down there, but the choice to end things with 'This Town' with Sasha Sloan, which is a darker acoustic song that seems a little more aware of the world as she sees small town kids get married too young - it's something you would see played sharper on a Kacey Musgraves record. But that raises the fundamental contradiction with Kygo: you get the feeling his production plays best for big emotions that play with absolutely zero self-awareness like with the title track, but then you get the synthesis with sharper writing on 'It Ain't Me' and you find yourself wishing more of the album was aiming for songs where the emotion was just as straightforward, but the framing was more complex. Granted, how much you're ever going to get that out of this subgenre of electronic music is up to debate, which raises the big question about Kids In Love. Because yes, I think this is a pretty damn good record, but I also see it showing where Kygo might be hitting a ceiling artistically if he doesn't aim a little higher. Yes, in terms of tropical house there's a level of polish and anthemic power that Kygo will always bring to the table, and as I said, he's got a gift for melody. But unless he expands his sound or adds a layer of cohesive complexity to his writing - maybe through trimming down the guest star list to tighten his focus and develop more chemistry with a few singers, maybe bringing his brand of polish into a richer selection of tones like what Avicii tries with every other project - I can see that broad earnestness feeling a little tired by the next record. But as it is, this is a light 7/10 and definitely a recommendation. The appeal of this record might be simple and straightforward, but when the melodic grooves are this good, I'll take what I can get. If you're into this sort of tropical house, you could definitely do a lot worse, so check it out! I am not a fan of cloud 9. And at some point I agree with all the criticisms. Your opinion is appreciated. Thank you for highlighting it.